Chris has extensive experience as a marketer and brand strategist in many of Melbourne’s reputable advertising and creative studios. He has worked on most major Australian and global brands from the position of both a strategic and creative one. Brands include Saab, BMW, Citipower, Eastern Energy, Ford, Buena Vista, Budget, Australian Open Tennis, Urban Land Corporation, Kodak, Triumph motorcycles, Honda Motorcycles, Reece, Hang Ten, Lightning Bolt and Amco. As an entrepreneur he owns and is the lead presenter of Shoestring Marketing, as well as being the owner and Brainstorm Architect of Childsplay Marketing – a company specialising in creativity and lateral thinking tools for business. Chris has been a lecturer at RMIT University within the School of Applied Communication, School of Entrepreneurship and at Swinburne University’s School of Design. He boasts qualifications in Communication Design [Masters], Advertising & Marketing and Business studies. He has on various occasions been nominated for awards both in the advertising industry and academia. Justin is a technology expert, traveller, educator, knowledge enthusiast and has a keen interest in innovative technologies. Graduated with a Bachelor of Computer Science from Monash University, he worked as an associate lecturer of Computer Science at RMIT. 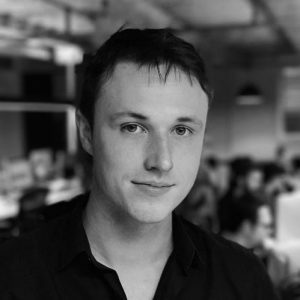 He also worked in industry as a lead web Developer dealing with clients such as the Melbourne Airport, Nab and Icon co. Wanting to absorb other cultures, he completed a Diploma of Japanese Language at RMIT and moved to Japan to learn Japanese further and work as an English teacher. Returning from Japan, he has taken up a Master of Science at the University of Melbourne, researching in Machine Learning / Artificial Intelligence. He is immensely knowledgeable in open source software, web developing, server client relationships, artificial intelligence and to identify cost savings in business technology. At Acknowledge Creativity, he is a Digital the Technology program manager teaching in an array of courses and engaging the business community. Robert has over three decades of chartered accounting experience specializing in providing taxation and business services advice in a broad range of industries to a diverse client base. With a passion for small to medium enterprises (SMES), Robert’s invaluable knowledge enables him to provide comprehensive advice on all aspects of taxation and business services across a range of industry sectors. 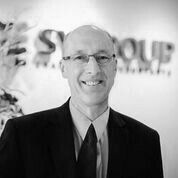 He is a practicing professional and has been instrumental in the ongoing success of SY Group and prides himself on his ability to build and maintain lifelong relationships with his clients, whom he continues to still work alongside 30 years later. 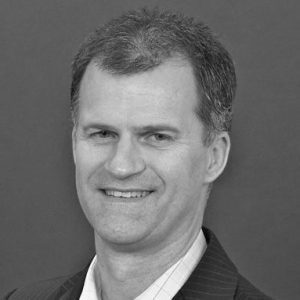 Robert is an associate member of the Institute of Chartered Accountants and holds a Bachelor of Economics and a Master of Taxation from Melbourne University. Wayne has held various Senior Executive positions with Henkel KGaA including the Management Board responsible for implementing a shared service organisation, as Chairman of several Global Market Direction Teams, and the Industrial Sales & Marketing Manager for Australia/NZ. Other appointments include; Senior Negotiation Strategist at ENS International, the Board of Thomas & Coffey Australia and Chairman of the Australian Institute of Company Directors’ Education Review Committee. His background encompasses a strong knowledge of joint ventures and long-term strategic alliances. Many assignments have required mapping and framing complex multi-stakeholder negotiations, through to sequentially planning and pacing multi billion dollar government negotiations. 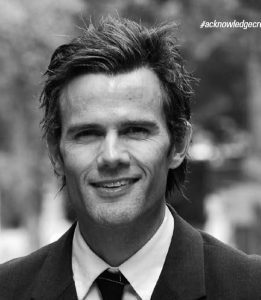 He is the author of FROM HOPE TO STRAT EGY – The Anatomy of Negotiation, and is regularly invited to speak at conferences, which have included The CEO Institute, Australian Institute of Company Directors, CPA Australia, Procurement Australia, The Executive Connection, and AFL Players’ Association.